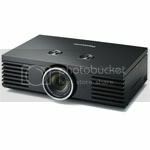 AVS Forum | Home Theater Discussions And Reviews > Display Devices > Digital Projectors - Under $3,000 USD MSRP > Official Panasonic PT-AE3000U OWNERS Thread. Mine looks good so far. I think it needs a few adjustments (something odd with skin tones in a normal DVD last night), but it does very well on a 126" screen, in my opinion. Stu, you'll need to provide more detailed impressions than that! Is your 126" a 16:9 or 2.35:1? Any convergence issues w/your unit? Mine's coming tomorrow & hope to post impressions by Saturday. Would do it Friday, but can't miss the last day of early election voting here. 16:9. No convergence problems that I've noticed. Since I don't notice any, I don't want to look harder. I have zero light control in my basement (walkout, with windows right next to the screen) at the moment, but I just went down and played around a bit anyway. Apparently I had it in "normal" mode last night. I see there are some "color" and "cinema" settings, as well as a "dynamic". I'll have to see what I prefer when I get a chance to watch some more source material. Cinema mode is probably the most accurate in terms of colors and gray scale, but it's also the dimmest. Please try that mode and let us know if the picture is still bright enough, at least at night when the windows are a non-issue. Also we need to know what type of screen you have. Specifically what is its gain. According to the manual and professional reviews, "Color 1" is the 6500K standard as well as HDTV standard. Please try Color 1 and report. Would the calculations be different if using a anamorphic screen?? I believe the horizontal measurement from PJC from a 16:9 screen will remain constant, you'll just have to do the math to figure out what it is in 2.35. In the demo I saw last week, there was a test of scrolling text. First we saw it with frame creation off and then on. We went back and forth for a minute or so. There was a substantial difference in smoothness of the text with the setting on. Officially I will become an owner of one tomorrow. What kind of 126" screen do you have? 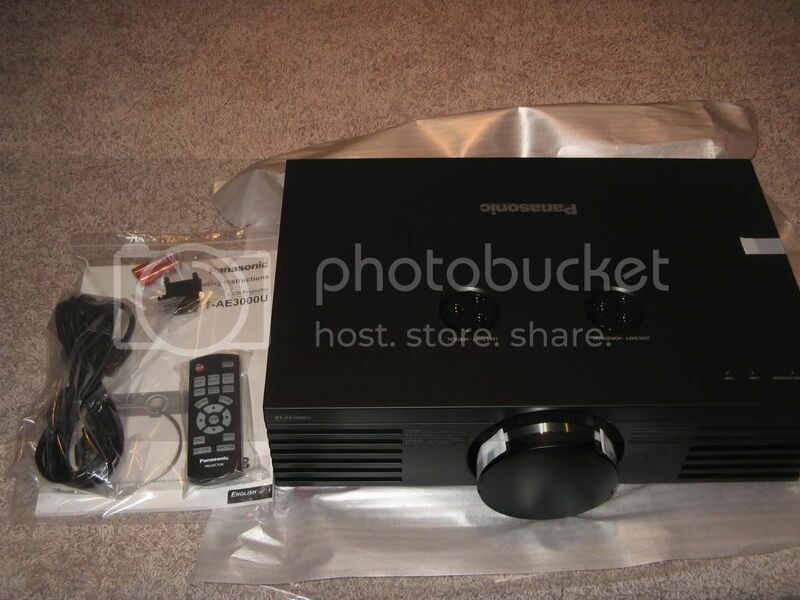 I'm considering this projector with my 120" screen but it's just a 1.0 gain. The screen is a DIY Wilsonart Designer White laminate, unknown gain. Maybe someone has measured it, but I don't know. Something fancy wasn't in the budget at the moment, so I figured I would give it a shot. I can't say I have any complaints. I will compare the cinema and color1 modes tonight when I get home. I have had requests for screen shots, so I may have a crack at that, too. ETA: I should clarify that it is 126" because is it 1.85:1, 60x111. I had brainfade when I was measuring it out. It will get masked down to a proper 16:9 when I do the black velvet frame. Right now I have it filling the full width, with a titch of overscan overflowing the bottom. Supposedly the WA Designer White has a gain of about 1.24. I have no way of measuring it but the 8''x10'' sample I have definately is brighter than the generic 1.0 gain screen I use atm. I am seriously considering getting the AE3000 and a 5' x 12' WA DW laminate screen. My idea is to make a 60'' x 141'' screen for 2.35 and just use black curtains on the sides to adjust it down to 60'' x 107'' for 16:9 viewing. Stu can you check for me if the AE3000 looks good 16' from the screen at the widest angle in 2:35 mode (Should be about 141' wide)? I have a fully light controlled basement with black walls/ceiling. I am hoping the panny can handle a 2:35 screen that wide in one of the color/contrast accurate modes (cinema modes). Welp...I'm glad to hear you're using that screen as that's exactly what mine is made of. If it's acceptable at 126 or so, I'm sure it'll be fine on my 120". 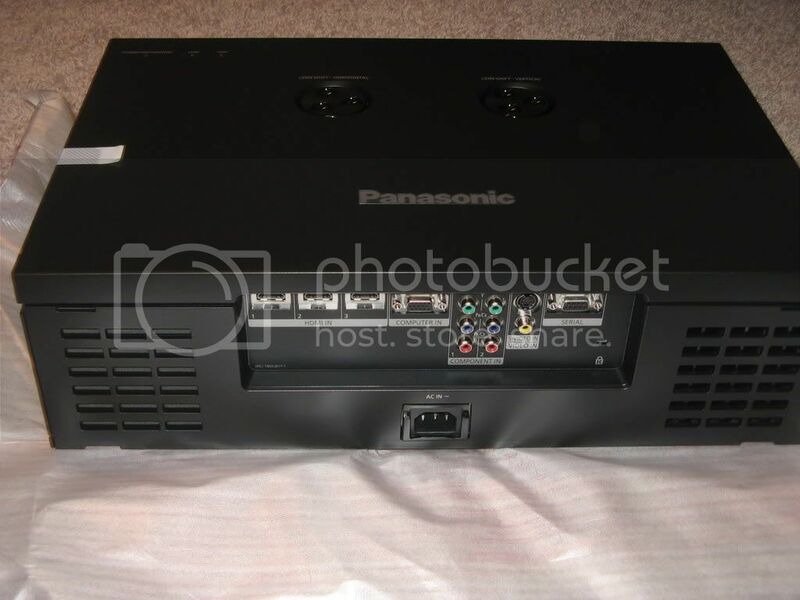 Isn't the Panasonic PT-AE3000 under $3000? Is this the right forum for this thread.? 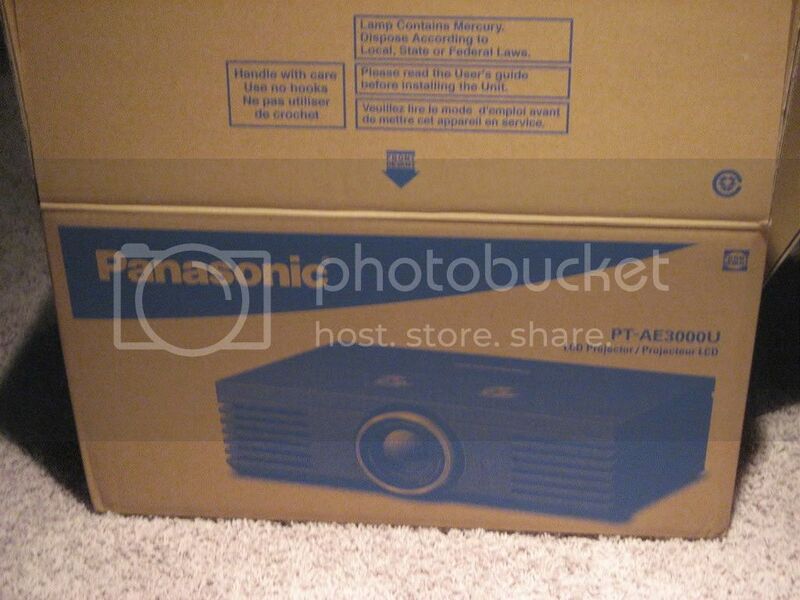 Projector Central has the MSRP marked out on their website. I am also interested in amount of light spillage. Ok, zoomed it way out for 2.35, and I think it still looks really good. With light control, I think a person could get away with whatever this this would be. It looks like it's running about a foot off either side, so... 111 + 24 = 135" wide, and I could pull that off if my screen was wider. It appears that the top stays stationary when zooming, FWIW. Light spill appears to be minimal to negligible. I'm not seeing anything that I would identify as light spillage, but I'm not an experienced critic. ETA: If I walk up to the screen, I can make small shadow puppets in the "black bars", but it's nothing significant. If I hold the instruction manual up, there is not enough light spill to read it. No better than sitting on the couch. ETAA: The dark cave scenes in Iron Man look good. I'm watching in "Cinema2" mode. ETAAA: Now I think I like Cinema3 better. Is seems just titch brighter. I should read the manual and see what the differences are supposed to be. how loud is it from about 6 feet or so away? How far back from the screen is your Projector Stu? Thx for doing that test for me. I am pretty excited about this projector but the lumens issue is giving me some doubts. 2.35 with a 60''x141'' screen in a color accurate mode (cinema mode) would be awesome. I just hope the bulb on this doesnt lose too much lumens with age. 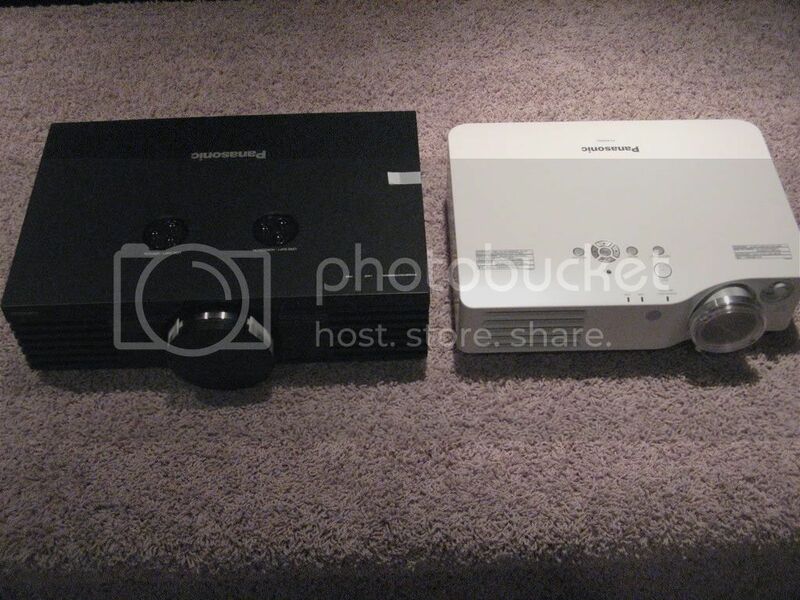 I am beginning to think this projector doesnt actually exist yet, where in the world are the screen shots? Ran downstairs with a tape, and it looks like the front of the lens is ~15'8" or so. Between 15 1/2 and 16. We'll see how the lumens fare over time. I can't find my tripod, but I will try to use the couch or something tonight. I just don't want to take crappy pics that aren't indicative of how nice the picture looks. I also have some rack updates for my build thread. If you have a PC you could hook up to it can you see if it will sync 1920x1080 at 120Hz? Picked mine up today. This machine is a work of art!!! Still not on Panasonic's web site.